Christianity stands or falls on the doctrine of the resurrection of Jesus Christ. In an age of skepticism regarding anything supernatural, Christians find it difficult to show people the truth of Christianity because of denials to the resurrection. This though is not a new phenomenon. During the rise of the Enlightenment period in the 18th century, it became common to embrace only what could be verified using normal human faculties. Since no one could reproduce a resurrection, logically, it must be impossible. Therefore, when one removes the supernatural emphasis from Christianity, particularly through the denial of the resurrection of Jesus Christ, all of Christianity falls. Thankfully, there were people who fought against the tide of anti-supernaturalism during the Enlightenment period. One such man was John Gill. John Gill was born in Kettering, Northamptonshire, England on November 23, 1697. His parents were God-fearing individuals of the Calvinistic Baptist tradition. His early years were spent studying in the local grammar school where he excelled in languages. The church at Kettering recognized his gifts as a preacher and in 1719 became pastor of the famous Horselydown congregation in London where he served for a staggering 52 years until his death in 1771. Gill would become a prolific author and one of the most influential theologians of the Particular Baptist cause. Gill, was a frequent preacher and teacher upon all things doctrinal and the doctrine of the resurrection was no exception. He preached sermons at the famous Lime Street Lectures in 1731 on the subject. In it he defended the reality of the resurrection from the dead. While we cannot spend a detailed amount of time analyzing his defense, we can make some general conclusions about how he defended the resurrection and how we can learn to do the same today from his example. First, Gill knew his opponents and their arguments. Gill, even uneducated beyond some initial grammar school, made it his goal as both a Christian and as a minister of God’s Word to be informed in the writings of the orthodox and the unorthodox alike. Gill, expertly versed in Jewish thought and literature, also was aware of ancient pagan authors and the arguments they made. He was aware of Christian thinking on the issue from the early church through the Reformation and post-Reformation Puritan period in which he found himself. He was aware of the arguments made by those who agreed with a resurrection and those who denied it. Second, he progressed through his argumentation in a logical way. First, he considers that the doctrine of resurrection is a “credible” thing. It is not completely impossible to consider, even in a secular-thinking world. From there he goes to more explicit references in Scripture to argue for the resurrection of the dead. Finally, he considers how the resurrection is necessary because it is connected with all kinds of other doctrines in the Bible. He clinches it with the key: If Christ is raised, so too are we. This leads the reader along the argument, slowly building the case, so as when one reaches the end, he faces an insurmountable amount of material defending the resurrection from the dead. Third, we can see that clearly the core of the defense of the resurrection for Gill comes straight from the Scriptures. When much Enlightenment thinking was turning to the other “book of the revelation of God” namely nature, to define the world, Gill still sees the lasting answers in God’s special revelation, Scripture. Predicated on all of this is the concept that our theology can only be derived from the Scriptures itself. It is God’s communication to man and thus gives us the answers we are looking for. Instead of rooting his argument in the conclusions of others, he looks to the Scriptures to defend this crucial doctrine. What Can We Learn from Gill’s Defense? It is not just the secular atheistic world that denies the core supernatural elements of our faith but also much of liberal Christianity too denies the miraculous and especially the resurrection from the dead. It is imperative that we understand and defend this crucial element of our faith. If the resurrection of Christ is denied then our faith is in vain. What then can we learn from Gill when defending the truth of the elements of our Christian faith? First, the maxim of “know thy enemy” is completely true in this instance. If we want to honestly interact with those who disagree with our position, we need to know what they are saying. Too many Christians attempt to argue against the arguments of liberals and atheists alike and know nothing about what they actually believe about the subject. Study the issue especially as articulated by those who disagree with you. Second, know the Word of God. There is no more important tool in your arsenal than the Word of God. Gill demonstrates his vast knowledge of the Word of God on the subject and can draw Scriptures from all over the Bible to rally to his argument. Knowledge of the Bible and how it systematically fits together helps to provide a strong argument for affirming the truth of the resurrection because it creates a systematic understanding of the teaching in the entire Bible. Finally, know how to make your argument. The reality is that the unbelieving mind cannot grasp the spiritual things of God. You cannot convince them with logical arguments that the resurrection is reasonable or possible apart from the Word of God. The mind of the unbeliever is hostile to God. So, our goal is to present the truth claims of the Scriptures and pray that the Spirit of God would use this Word to draw our hearer to Christ. So, Gill’s approach to simply systematically walk through the Scriptures as the best and most reasonable defense of the resurrection is our most basic approach. The words of the Teacher of Ecclesiastes are surely true. Just glancing at my library of books makes me echo the same statement. It seems there is a never ending barrage of books coming forth from publishers. Frankly, it’s exhausting at times to keep up with writings, let alone the best writings. A recent endeavor called Books at a Glance is helping to take the exhaustion out of keeping up with the latest and greatest of Christian books. The thing is, the maxim, “leaders are readers” is most assuredly true. We Christians need to stay abreast of the latest and greatest scholarship in biblical, theological, and historical studies. Frankly, there is little excuse for the Christian who wants to grow in the faith to not spend time growing through the richness of the studies that godly men and women are producing. Yet, where is the time? How can I keep abreast of all of the wonderful material being made available? That is where Books at a Glance comes in. Through author interviews, book reviews, and especially book summaries, you will stay abreast of all of the best that Christian literature has to offer. And now, with their partnership with Westminster Bookstore (detailed here) you will be able to receive excellent prices on the exceptional books that Books at a Glance are offering. There are free elements to the service they provide, but the biggest advantage is a paid membership that provides the incredibly helpful book summaries. We’ve all been down the road where we purchased a book that turned out to not be what we expected. Here, Books at a Glance will provide good summaries of the books so you can understand the book, and yet decide whether you’d like to go further and purchase and read the book. Book reviews provide more brief looks into books with recommendations on reading, and author interviews give helpful additional information to makes reading their books all the more edifying. Recent reviews include Learning to Dream Again: Rediscovering the Heart of God, A Vine-Ripened Life: Spiritual Fruitfulness Through Abiding in Christ, Spurgeon’s Sorrows: Realistic Hope for Those who Suffer from Depression, and Fierce Convictions: The Extraordinary Life of Hannah More – Poet, Reformer, Abolitionist. Let these be a taste for you of what you can glean, but get on their 30 day program and get a free book summary, and consider growing in your understanding of excellent Christian material available by purchasing a premium membership. I believe you will not regret it, and will only be thankful for it! 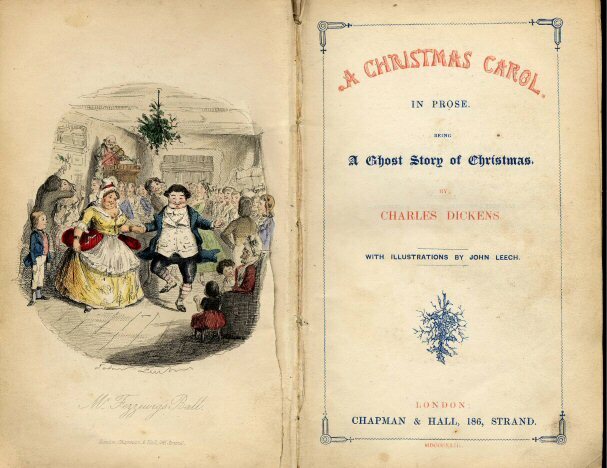 My wife grew up with a great love for classical literature and Dickens’ A Christmas Carol is one of her favorites. She has read it a number of times and is very picky about how movie adaptations reflect the original work of Dickens. Thankfully we are able to find versions that have language that is almost exactly the language of Dickens from the novel. She often has some quibbles about somethings that were left out but what was is there in the ones she enjoys she felt were faithful to the original. 1 John 2:4-6 reads, “Whoever says ‘I know him’ but does not keep his commandments is a liar, and the truth is not in him, but whoever keeps his word, in him truly the love of God is perfected. By this we may know that we are in him: whoever says he abides in him ought to walk in the same way in which he walked.” It is made quite clear here that one of the assurances we have that we are in the faith is that we walk as Jesus did. John is discussing walking in the truth which is more than just words but action. Jesus was truth not only in what he said but in how he lived. Not to embrace the social gospel or anything but the reality is, if we are Christians we are to be faithful to the original, that is Christ, by walking as he did. Our lives, our thoughts, our actions, our behaviour, our teaching should be just as Jesus’ was. We like movie versions that are pretty faithful to the original. I only hope and pray that my life and my ministry might be also said to be faithful to the original when it is seen by the world and the church. You are currently browsing the Working out Salvation with Fear and Trembling blog archives for January, 2015.